Ages 4 & 5. Our band will be singing, playing hand instruments and using our imaginations. 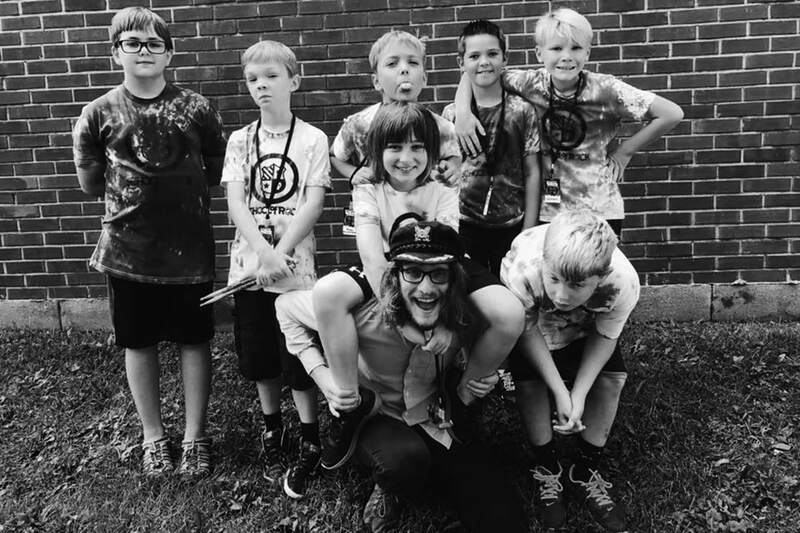 Campers will also be introduced to each of the main rock band instruments (guitar, bass, drums, piano/keyboard, and vocals). In addition, rockers will participate in a wide variety of large and fine motor activities, crafts, "sound" experiments and games designed to develop a love and understanding of music focusing around Holiday and Spring Themes!